In a food processor, combine the flour, ground almonds, sugar, and salt. Add the butter and pulse until the mixture has a sandy texture. Add the egg and pulse again until the dough is crumbly. Remove the dough from the processor and form into a disk with your hands. Cover with plastic wrap and refrigerate for 30 minutes. With the rack in the lowest position, preheat the oven to 190 °C (375 °F). In a food processor, purée the almond paste with the butter. Add the eggs and combine until smooth. Add the ground almonds and flour. Combine thoroughly. Set aside. On a floured work surface, roll out the dough into a 3-mm (-inch) thick sheet. 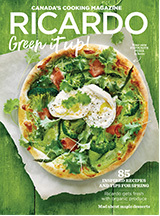 Line in a 23-cm (9-inch) square and 2.5-cm (1-inch) deep pie plate with a removable bottom. Spread the almond filling into the crust. 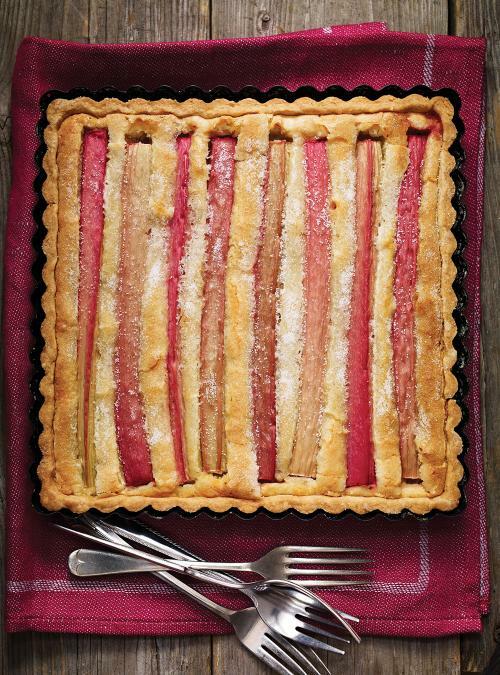 Top with the rhubarb sticks, side by side, leaving a little space between each. Sprinkle with the sugar. Bake for about 35 minutes or until the topping is golden brown. Let cool completely. 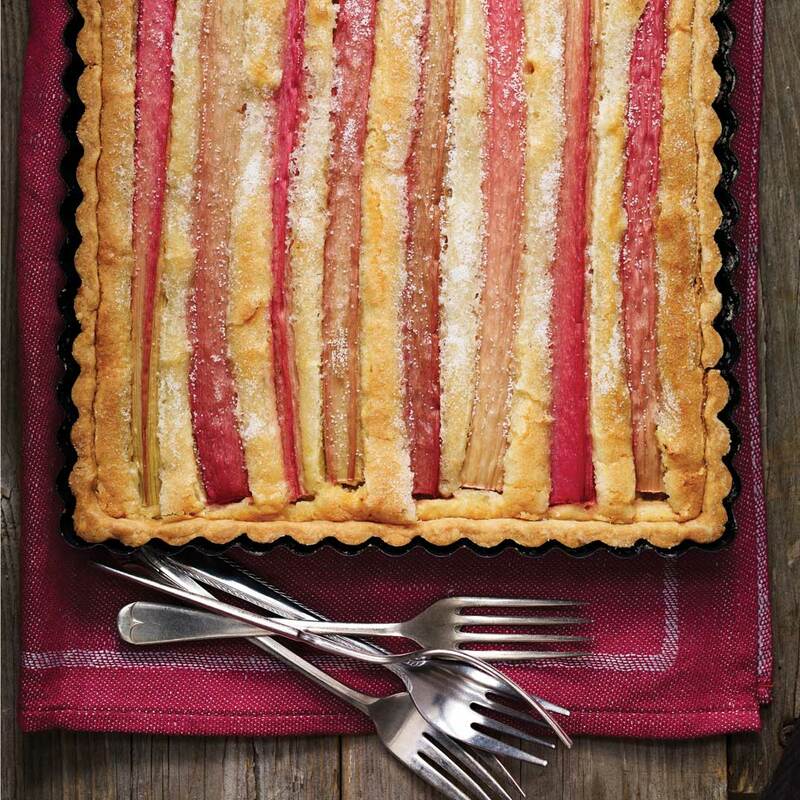 Choose a red or pink variety of rhubarb to give colour and shine to this pie.